Zoom! Teeth Whitening in San Francisco can Help Boost the Appearance of your Smile! A white, radiant smile can do wonders for your self-confidence, giving you the boost you need to achieve your goals. San Francisco dentist Dr. Marquis and her staff offer professional teeth whitening services that enhance the look for your smile. We provide safe, effective teeth whitening that is painless, with long-term, satisfying results. 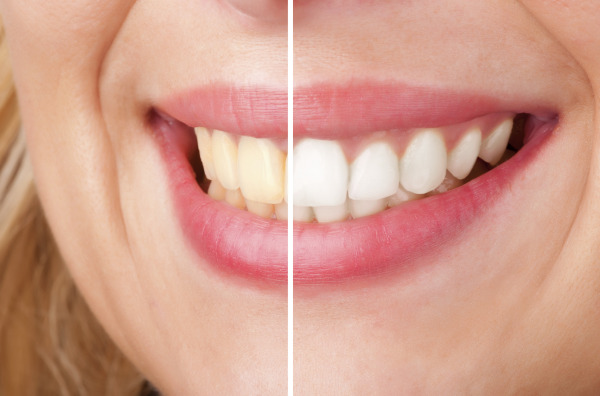 At our San Francisco dental office, we offer Zoom!® Chairside Whitening System (or Zoom! ), which combines the latest advances in dental technology with proven formulas for optimal whitening. When you come to us for Zoom! Teeth Whitening, you can expect professional, top-notch service paired with a personal touch. Why Consider Zoom! Teeth Whitening? As we age, teeth become stained or discolored. Tobacco use and drinking dark liquids such as red wine, coffee, tea, and soda can contribute to staining and discoloration. Even some prescription medications can cause the teeth to darken. Many people consider teeth whitening when they start to notice a difference in the radiance of their smile. Consulting with a professional before beginning a teeth-whitening regimen is essential. We welcome you to schedule a consultation in our San Francisco dental office. Zoom! Teeth Whitening is a bleaching process that lightens the dentin and enamel of your teeth with a hydrogen peroxide gel in combination with a mercury halide light. This light reduces the amount of heat on the surface of teeth during the procedure, which reduces sensitivity afterward. The internal structure of your teeth remains utterly unharmed during and after the treatment. During the process, we expose the surface of the teeth using cheek retractors and apply a protective covering to the gums. Dr. Marquis then applies the whitening gel to the teeth and positions the specialized light to activate the bleaching agent in the gel. After 15 minutes, she removes the gel from your teeth and repeats this process three times. After whitening treatment, it is critical to keep up with daily flossing and brushing with an anti-sensitivity toothpaste. Since discoloration can quickly work its way back into teeth without proper care, an occasional touch-up treatment can help you maintain lasting radiance. For more information on how Zoom! can transform your smile, contact our dentist in San Francisco to schedule your cosmetic consultation. We look forward to helping you achieve a beautiful, lasting smile!